This was taken in the evening of June 26, 2012 the two houses in the foreground are just behind my house [the photographer's]....the fire in the distance are homes that are on fire in Colorado Springs. The fire is in the city of Colorado Springs - a thunderstorm in Denver (70 miles north) send 65 mph winds from the NW, causing the fire to quickly breach a fire defense line on the mountain ridge and it came roaring down into the city with scary speed and destruction. If you have never experienced such a thing....you DON'T want to!! Morning 4 and day 5 of the Waldo Canyon Fire near Colorado Springs. 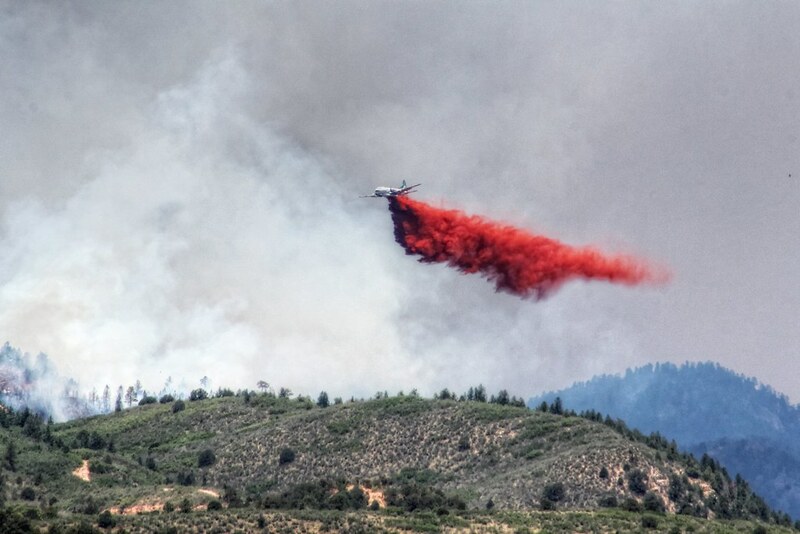 Last night was the worst we've seen by far, as the fire moved beyond the Pike National Forest into neighborhoods like Mountain Shadows in the northwest part of Colorado Springs city limits. 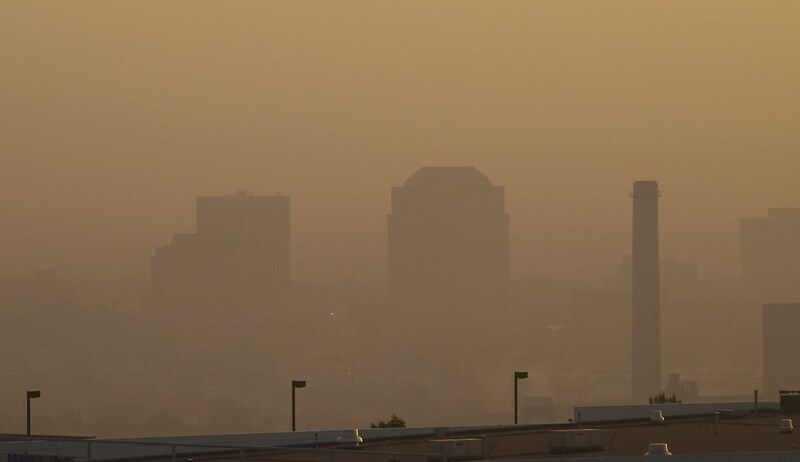 The air quality is low and falling, as you can see. 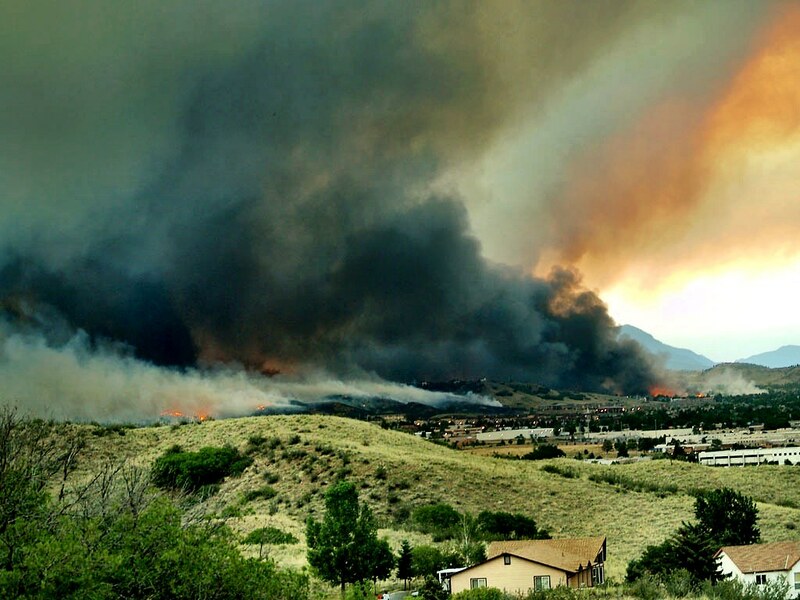 I know that these veer away from the traditional focus on Minnesota but the photos coming out of Colorado Springs of the Waldo Canyon Fire are so striking that I felt I had to share these depictions of nature's fury. If these photo caught your eye, check out the MinnPics Store to purchase equally amazing and beautiful photo prints in varying sizes - they make great gifts for any occasion.